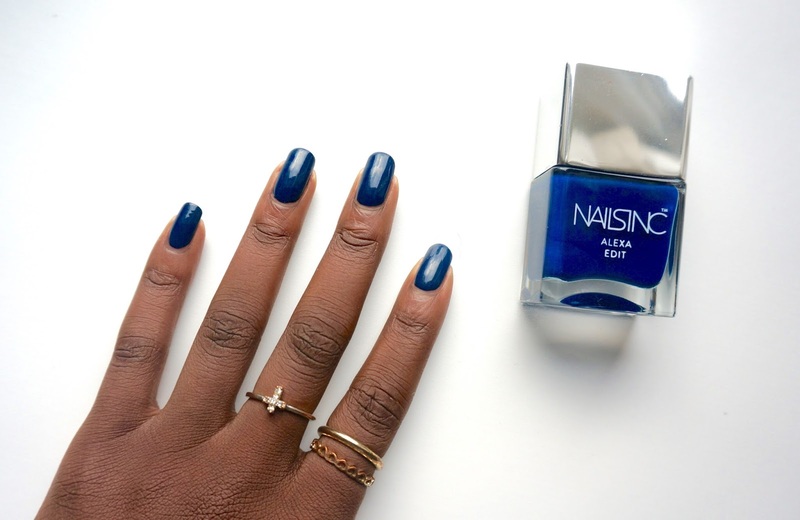 This week I am wearing Nails Inc Alexa edit night sky. It is a colour that I have worn on numerous occasions despite not featuring it much on the blog. 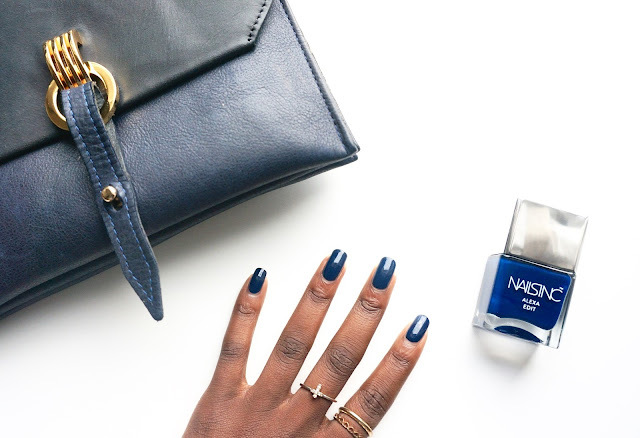 There's no hiding that I love nails inc. polishes and being that it is a navy/dark blue shade it has been a firm favourite of mine over the past few months simply because it matches very overly navy wardrobe pretty well. 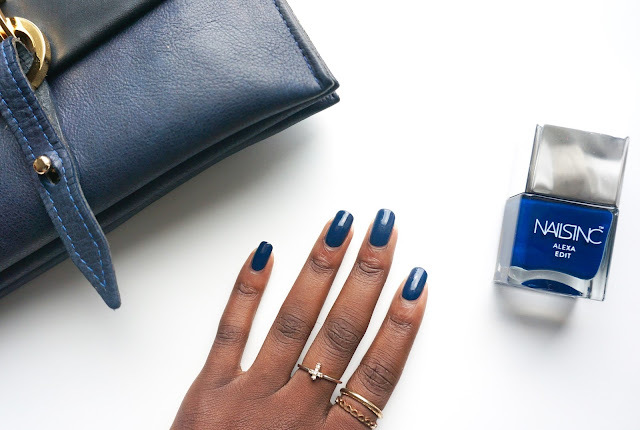 It is also an ideal colour shade for the autumn/winter season and one I would recommend for your polish collection.